bread bowl soup and smalec? with lard and some kind of paprika butter. This green stuff inside suggests cucumber soup. Yummy! More riddles. Where in Poland did I go to on 14th October? pawian, i really like this thread. I believe the first one gives it away. I thought it was Krakow market but on closer inspection it is not. and second one is from Warszawa. When we finished visiting Polish sites, we went to other places. Where? Why do Poles keep fish in a bath(tub)? aaaaaaaahhh the toilet was occupied. But I am also waiting for the name of the structure. i'm passing by park miniatur in inwald every time i go home (never been there though). the 'foreign' pictures are vatican, piza and athens. What is the case on the tree? What is this building in Krakow? Are we still in Poland? Leaning tower of Pisa? Italy? Or is the photo taken at an angle? top of Kosciuszko hill in Krakow? Unhappy, by the looks of them. They represent all the women who fought bravely during independence? The lads from the film "Potop", the noble men that fought against the Sweds? The Wawel castle? one of the king's tombs? A shrine to Christianity, where some one had an epiphany or got lost and found his way because of a guardian angel? So probably a statue of Mother Mary? with prayers? Looks like a "modern" church? It's a bit of carpet left in the mud to prevent cars from sinking when it is raining? 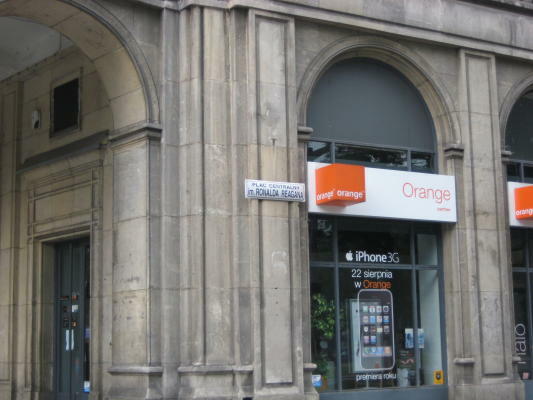 What is this orange fence for? t's a bit of carpet left in the mud to prevent cars from sinking when it is raining? yes, a carpet which remained after a crash. Let me guess this one. 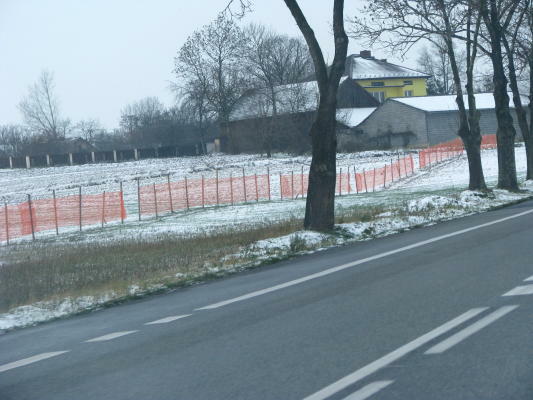 I see those fences twice a week near Krakow. They prevent snow being blown onto the road by strong winds. They prevent snow being blown onto the road by strong winds. Yes. We are getting good at this ha ha ha, well at least better. Looks like a "modern" church? Yes. Unfortunately. I am going to do another film but this time I will focus more on the buildings while driving through Poland. The lovely wooden houses and the not so nice communist blocks, the beautiful old wooden and stone churches and the mass concrete wierd shaped "modern" quite ugly ones. Just to give a bit of a balance to the film. Again not very exciting but I think it might be at least slightly interesting for people who have never been to Poland. I was recently in a church like this in Portugal. 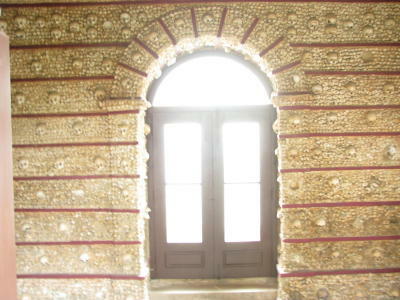 The walls and ceiling were covered in the skulls and bones of the monks. 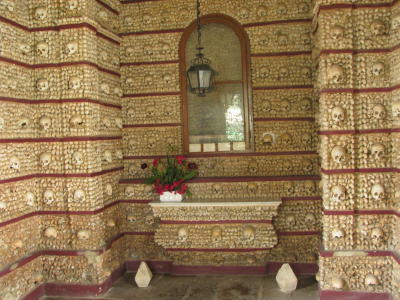 The floor was grave stones. Poland? really? I never heard of that here. 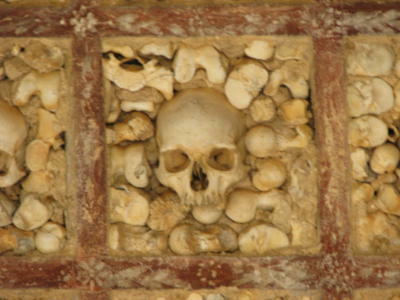 tye're are 3 skull chapels in Europe. 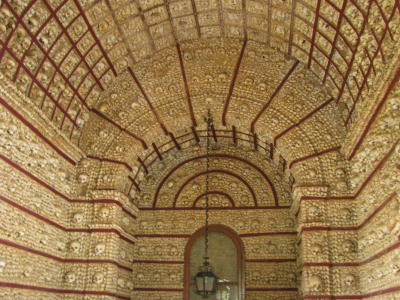 3 skull chapels in Europe. 3? where's the other one? here are some of my pics of the one in Faro, Portugal. I think it's in Slovakia. And what was it called before this name?